In a word, Valerie June’s voice permeates. It’s quite a task to divert your attention to anything else when it invades and envelops your eardrums. On this latest album, she remains utterly compelling while trying her hand, or rather voice, at country, folk, blues, and rock. For all intents and purposes, An Object is truly that: a tangible, stable artifact of a musical pairing that throughout its lifespan has thrived on tempered unruliness. It can’t be easy to be universally deemed the frontrunner of a genre. Georgia native Ernest Greene, who records and performs as Washed Out, now nearly four years and one album removed from his breakthrough EP, has found himself at a crossroads of sorts. 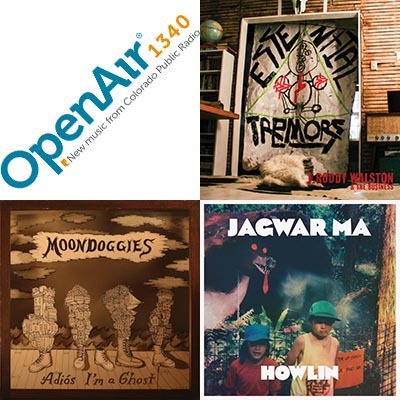 August brings new music from the Australian rock outfit Jagwar Ma, and American rock n' roll bands J.Roddy Walston & the Business, and the Moondoggies.